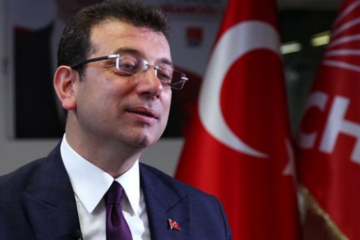 CLAIM / Video: The new airport of İstanbul was flooded because of heavy rainfall. It was claimed in a video shared on social media that the airport flooded is İstanbul Airport which has been recently opened. 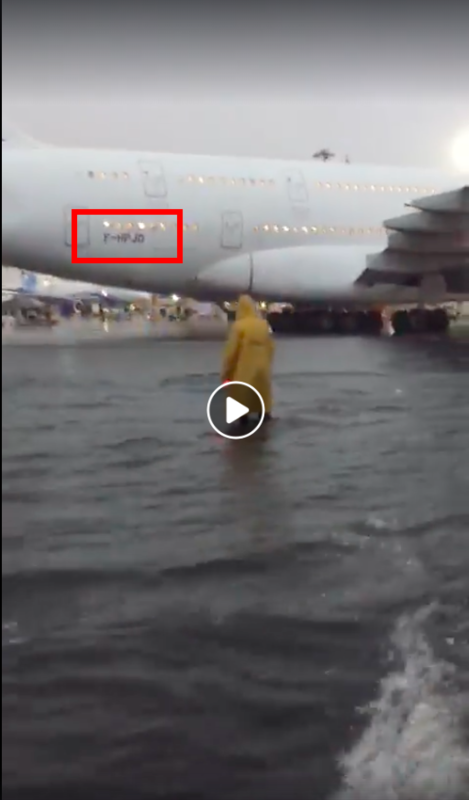 In the video shared by numerous accounts on Facebook and Twitter on November 15, 2018, it can be seen that the apron which the airplanes used for parking was flooded. 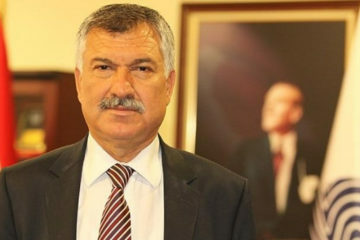 The number of shares and views of the video which was first shared on Facebook on November 15, 2018 by a page named Adını Sen Koy reached about 5,000 and over 200,000, respectively. The same video was shared on November 15, 2018 by news sites such as A Haber, Milliyet and Akşam with the claim that it was shot in Kuwait. 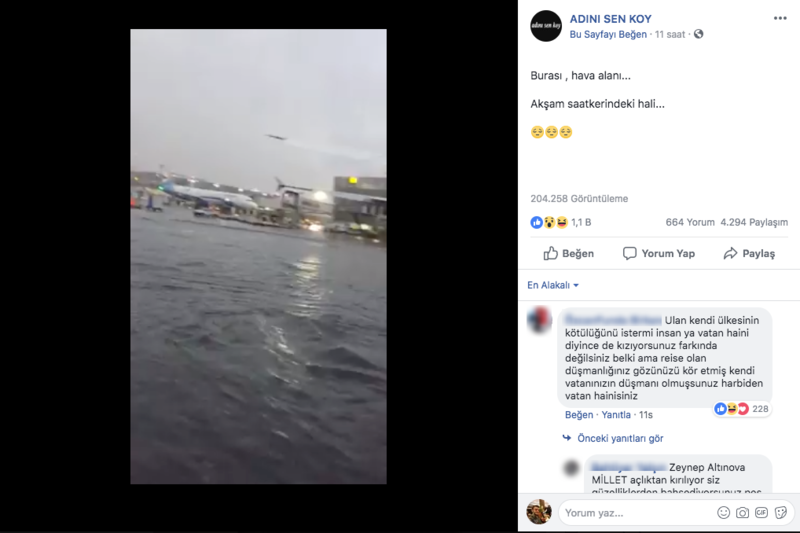 Nevertheless, the claim that the video shows a flood in İstanbul Airport on November 15, 2018 is false. Besides, the second claim that video was shot in Kuwait is also false. Actually, the flood in the video happened in one of the terminals of Benito Juarez International Airport in Mexico City due to a heavy rain on August 31, 2017. The so-called video shows a flood in one of terminals of Benito Juarez International Airport in Mexico City due to a heavy rain in August 2017. It is possible to see that the video was shared on Twitter and YouTube on close dates with the same claim. Date of the video shared on social media is August 31, 2017. 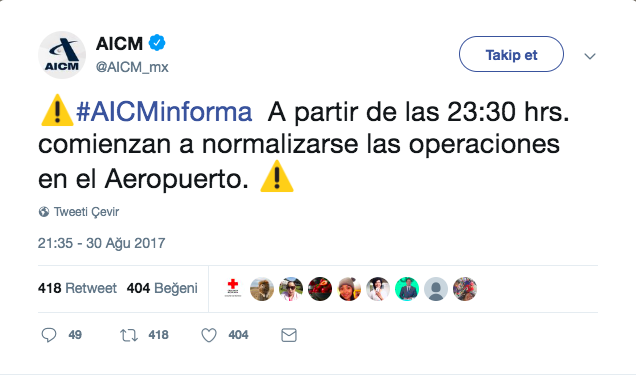 According to news of Mexico News Daily published on August 31, 2017, the heavy rain which happened in the previous day brought the operations of the airport and public transport system to a standstill for a short time. The official Twitter account which shared updated news about the airport informed that the operations of the airport interrupted for a while because of heavy rain restarted at 10.30 pm in the same day. A Spanish news site announced that the operations of Benito Juarez International Airport in Chilango came to a standstill at 6:40 pm. A building comes into view behind the airplanes in 13th second of the video. The same building can be seen in another video on Google Maps which indicates that it is the terminal building of Mexico City Benito Juarez Airport. The terminal building seen in the so-called video. Screen image of the video showing the airport on Google Maps. A building in colors of Mexican flag (green, white and red) is noticed in 18th second of the video. The same building is seen in a footage showing an airplane which was loaded and landed at Benito Juarez Airport on November 10, 2017. The said green-white-red building draws attention in another video dated July 5, 2018. 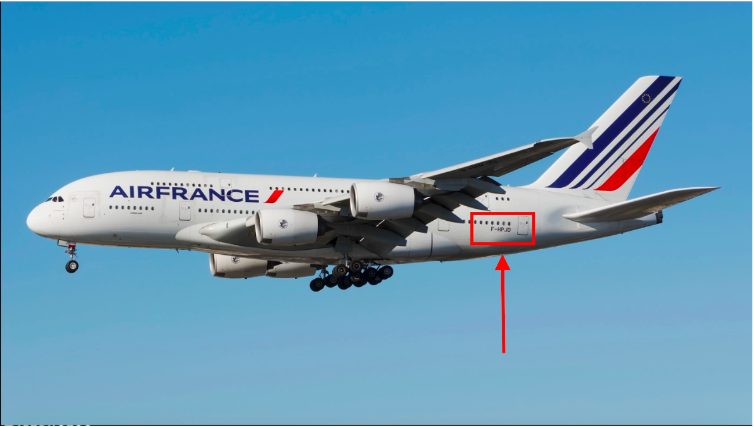 It can be said that the airplane which appears at the beginning of the video related to this claim belongs to Air France, as understood from the tail section. Furthermore, registration code of this airplane which belongs to Air France comes into view in the video. 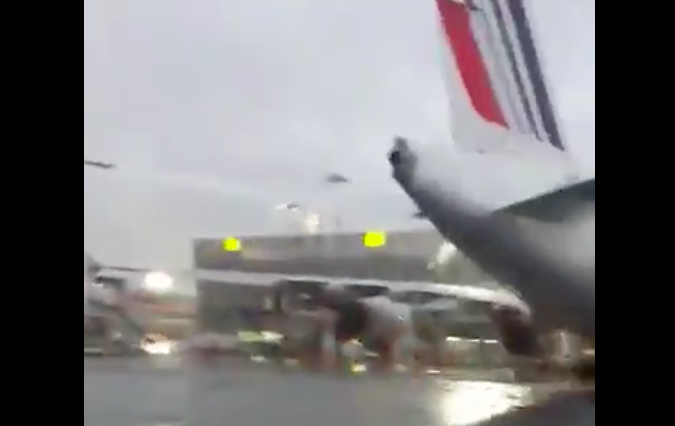 It is understood that the type of the airplane of Air France is Airbus A380-861 when the video is watched carefully. Registration number of the airplane on tail section is “F-HPJD” as well. It can be found out from Flight Radar 24 that the airplane of Air France coded “F-HPJD” has just taken off from New York John F. Kennedy Airport when the claimed video was shared on November 15, 2018. The airplane coded “F-HPDJ” took off from New York at 6:40 pm on November 15, 2018. Location of the said airplane was close by Ireland over Atlantic Ocean at 12:20 am on November 16, 2018. Information about the airplanes which took off from İstanbul Airport on November 15, 2018 can be obtained from Flight Radar 24. The list shows that codes of all airplanes which left the ground from İstanbul Airport start with “TK”. It means these airplanes belong to Turkish Airlines. Besides, it can be said that tickets for only İstanbul Atatürk Airport can be purchased from online ticket service of Air France. According to an analysis of the Kuwaiti news site, Arab Times, the so-called video was shared on November 15, 2018 by social media users with the claim that it was shot in Kuwait, but its location was Mexico. Additionally, Aviation 24 reports that the same video belongs to an airport in Mexico. The video was shared on social media by Indian users who thought that the airport was Mumbai Airport. In response, the fact-checking website in India, Boom stated in its analysis dated July 11, 2018 that the video was shot in the airport in Mexico City on August 31, 2017. To conclude, the claim that the video shows a flood in İstanbul Airport is false. 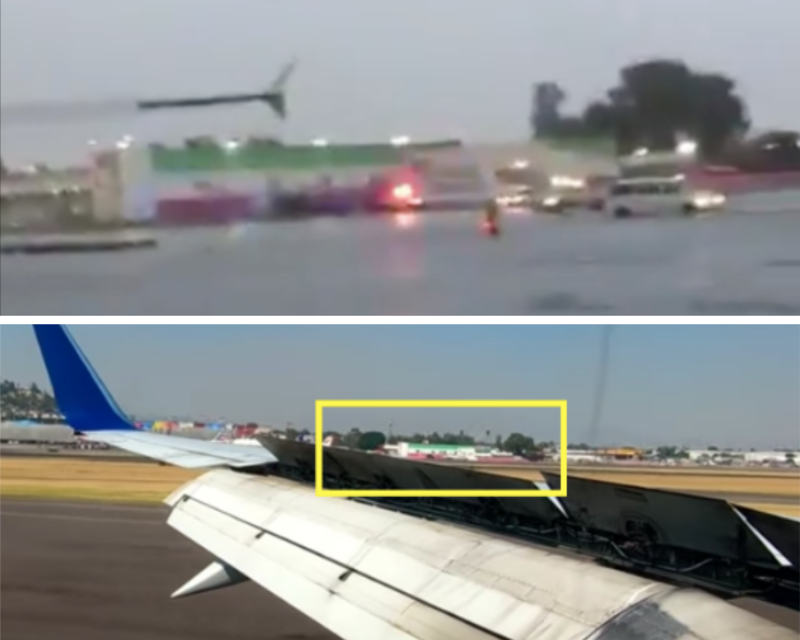 The video was shared by social media users with the aim of showing the flooding on apron of Benito Juarez International Airport in Mexico City, the capital of Mexico on August 31, 2017 due to heavy rain. 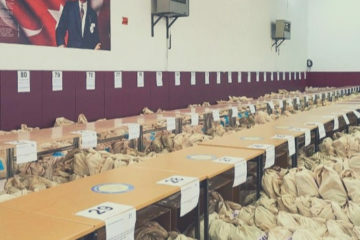 Studying Political Science and Public Administration at Ankara University. During summer 2017, he did an internship at a local magazine in Berlin. Alican is interested in modern Turkish history. He wants to continue his graduate degrees in areas such as media or sociology.